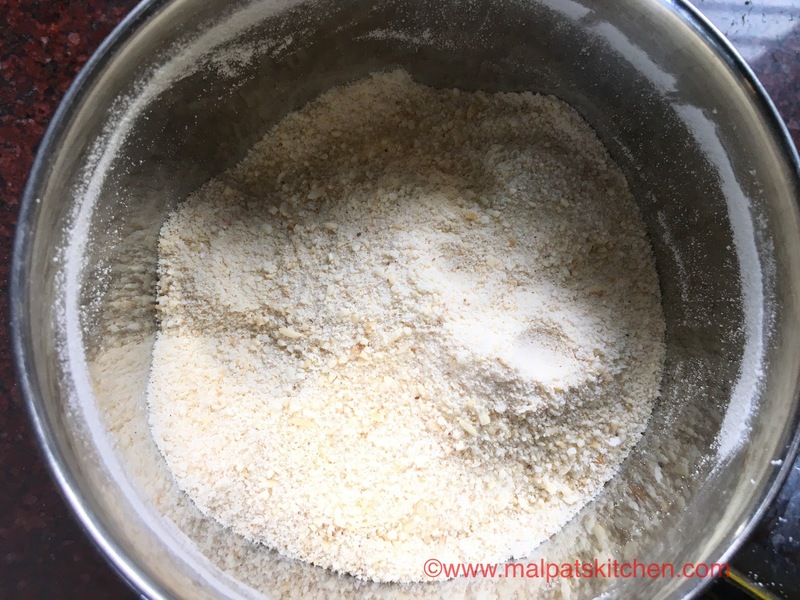 Here comes a Salem signature special recipe!!! 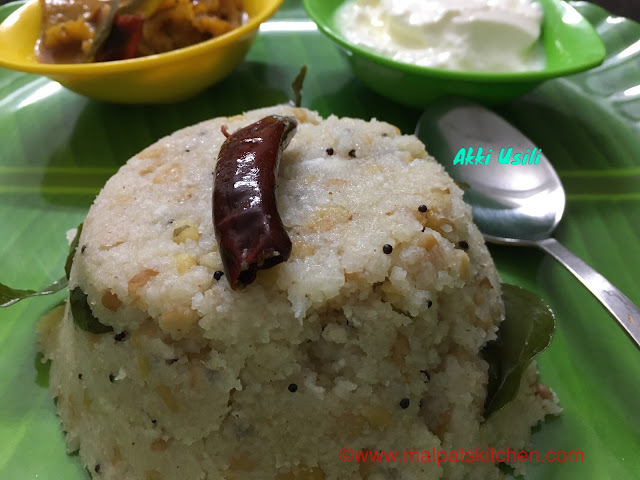 Though this looks similar to arisi upma, the roasting of the rice and moong dhal, gives a different flavor to this upma. 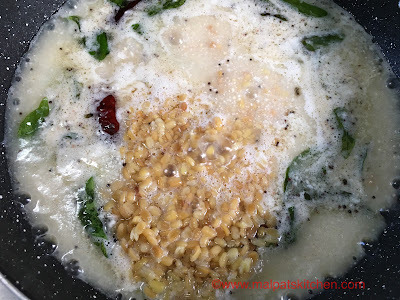 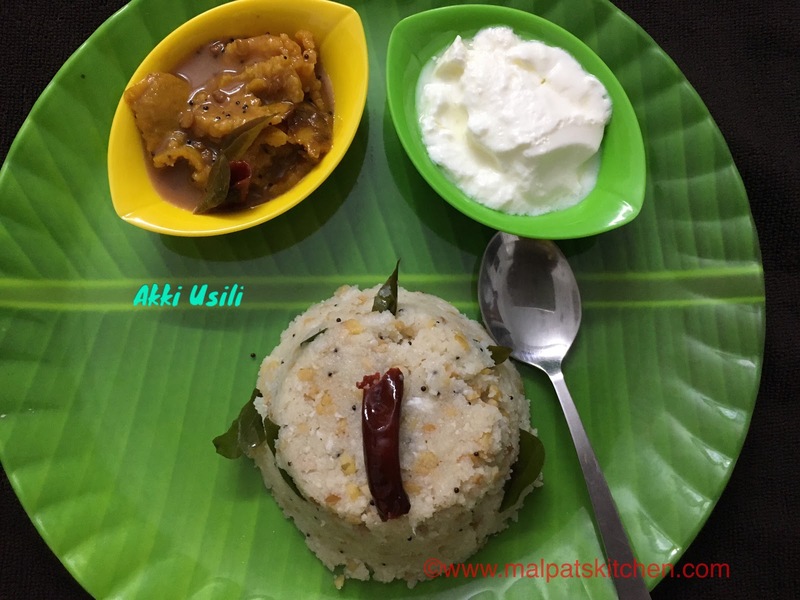 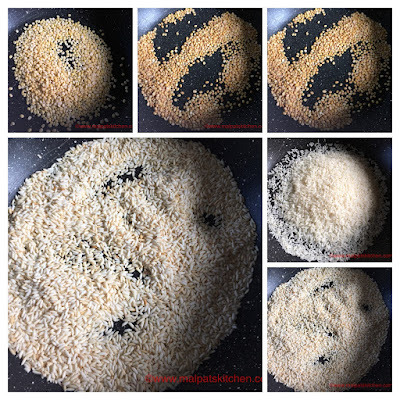 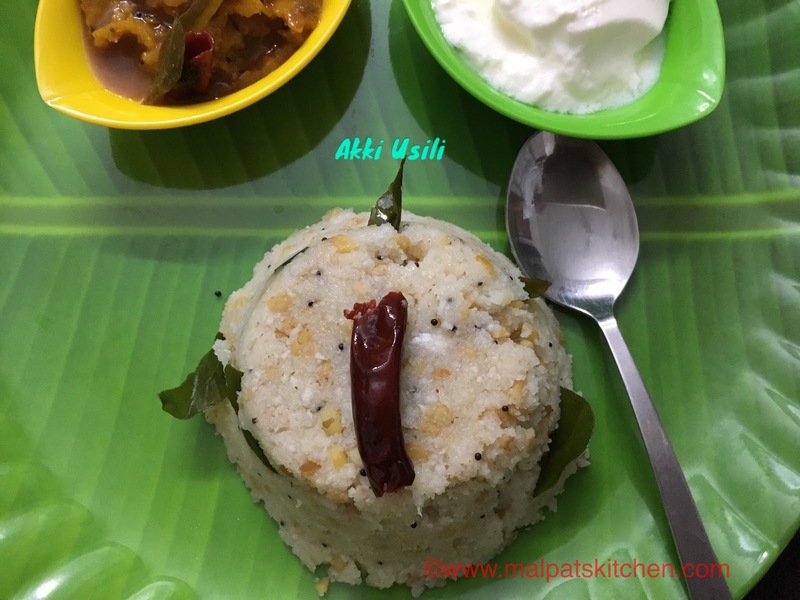 "Akki" in Kannada language means rice, and "Usili" means , a grainy texture. Rice and moong dhal measured separately, taken and dry roasted till they turn golden in color. 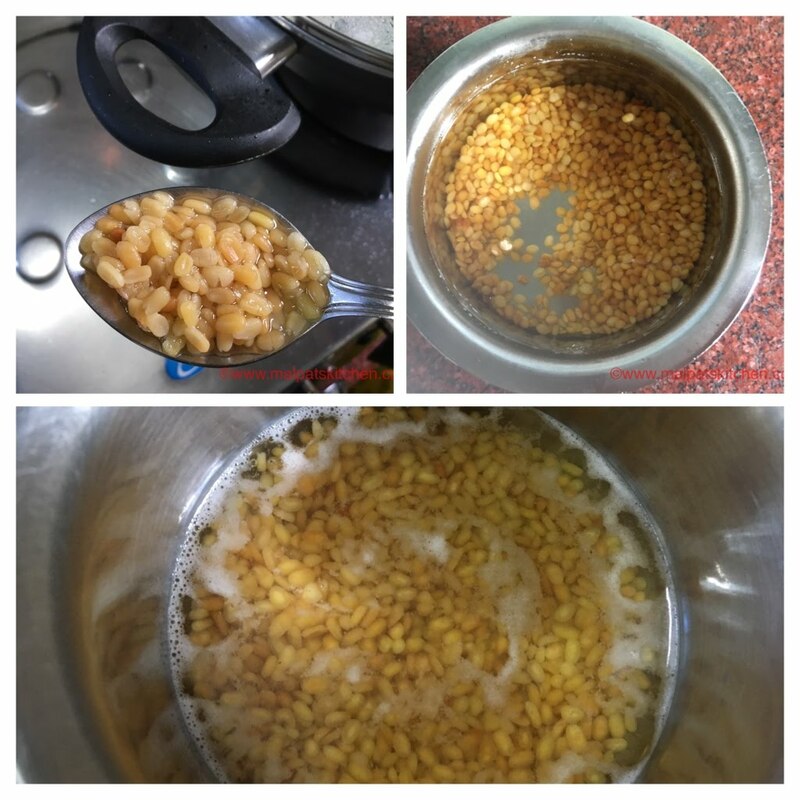 Roasted dhal, soaked in hot water for 1/2 hour, then cooked separately, till it gets cooked to a soft texture. 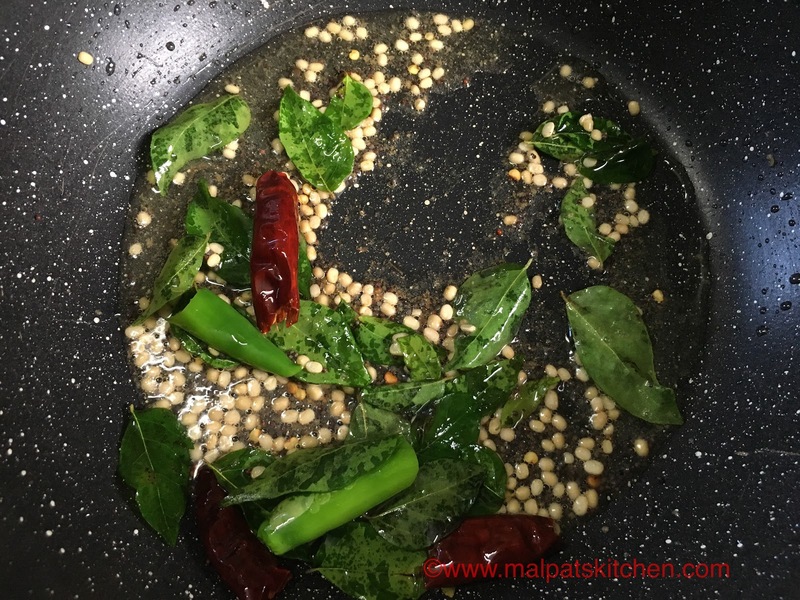 If we try to cook this along with the rice rava, they don't get cooked properly. 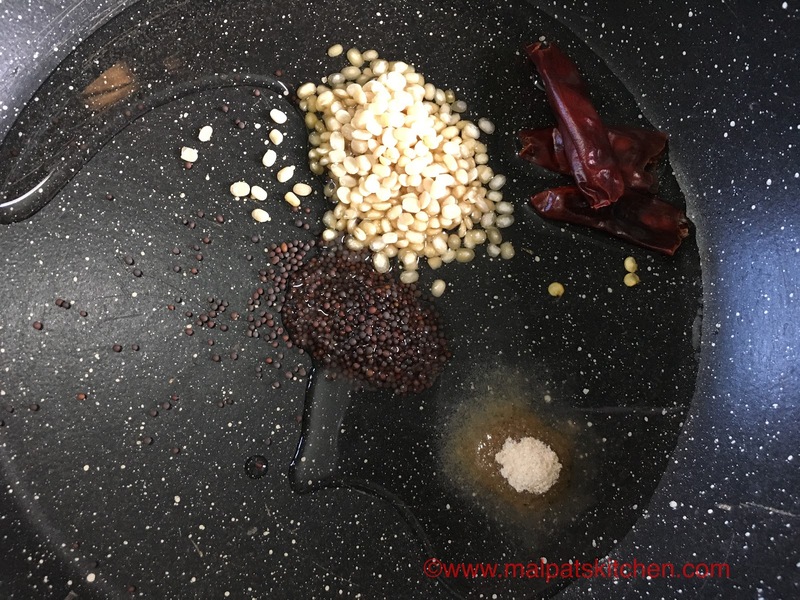 Non stick pan heated, coconut oil added, and the above mentioned seasonings added. 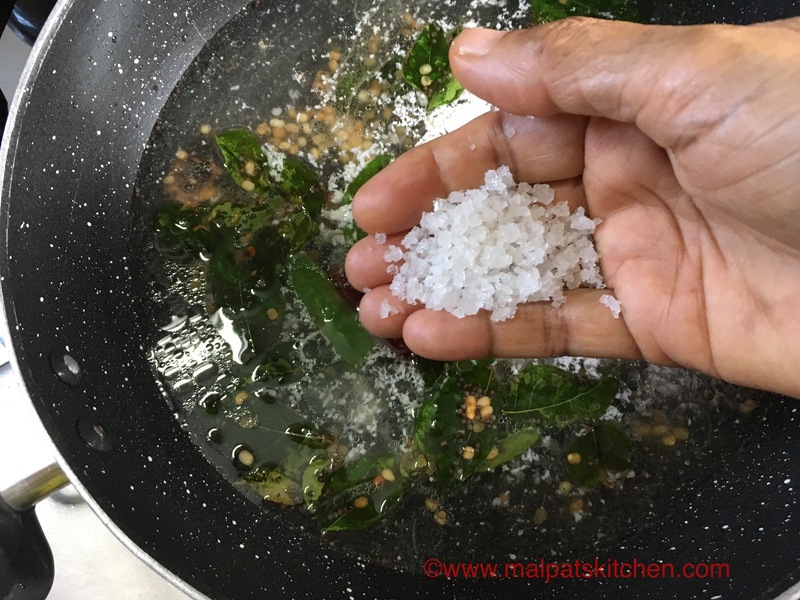 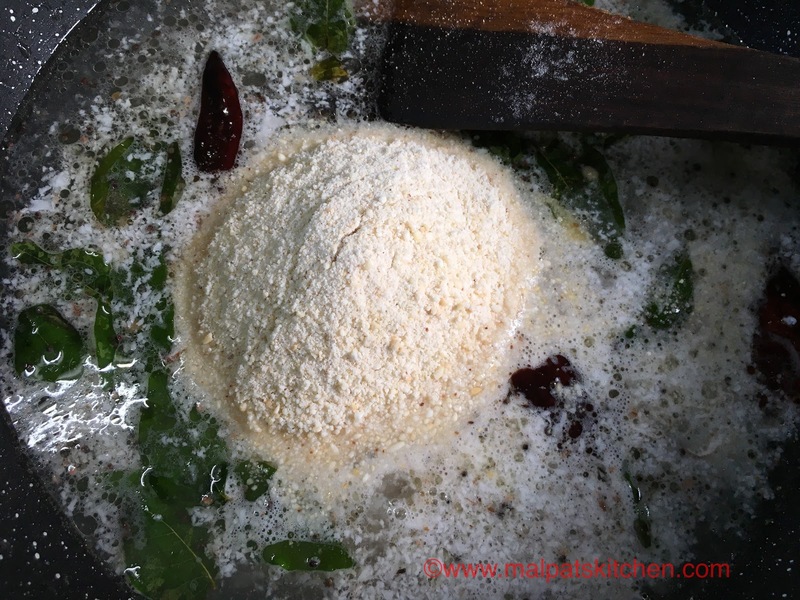 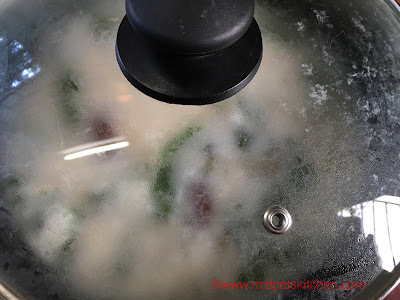 then add the measured water , grated coconut and then, salt to taste is also added. Mix well, and keep it covered with a lid, taking care to keep the flames on the lowest. 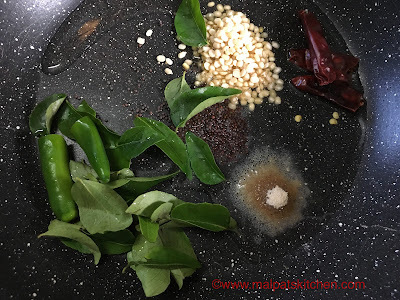 Rice rava is half cooked, the mixture has become thick, now add the cooked moong dhal. Let everything get cooked together well. Perfectly done. 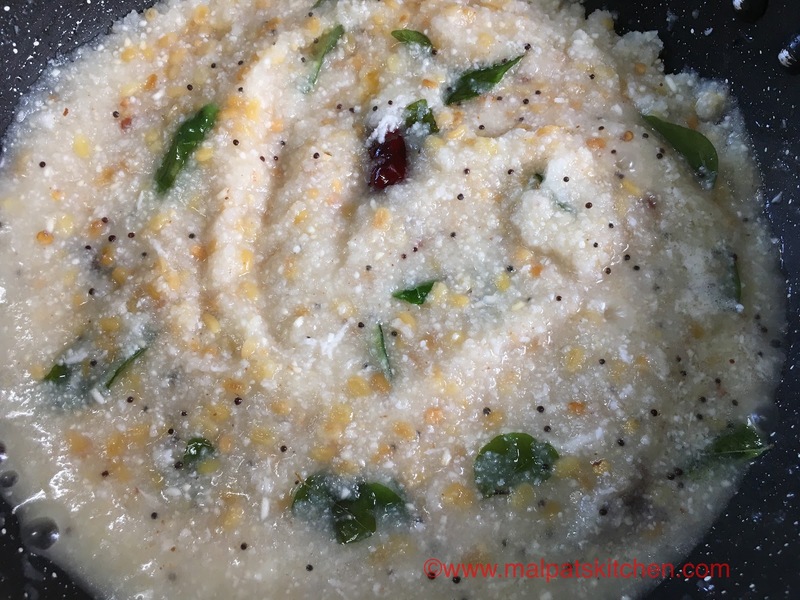 Switch off now. 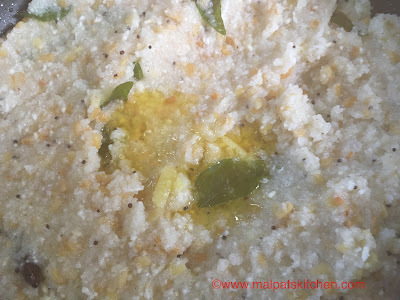 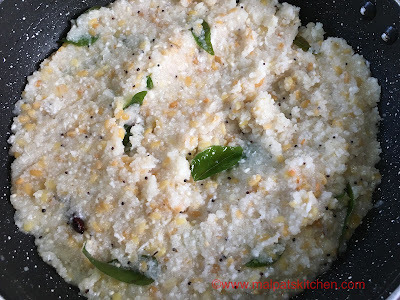 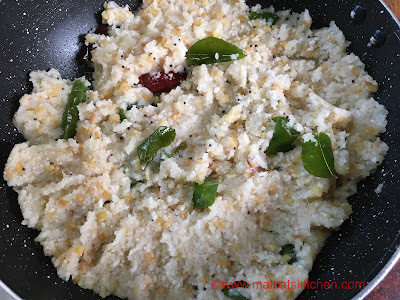 Serve this extremely tasty Upma, with a bowl of curds, and Orange peel and segments kuzhambu.